As a parent volunteer and substitute teacher at Resurrection Lutheran School and Early Childhood Center in Aurora, IL, we are always looking for ways to share the gifts God has given us. This year, in lieu of traditional Christmas gift exchanges, our students and staff elected to donate supplies for the programs in Laakeech. It was my privilege and honor to deliver the supplies on New Year’s Eve to Hacienda Chichen. We are a small school, serving only about 70 students. Yet, I am proud to say, these giving students contributed over 100 lbs of tooth brushes, tooth paste, underwear, multi-vitamins, and school supplies. Because my husband and I were able to fly business class, two whole suitcases plus spare room in our personal cases was able to be allocated to the children who benefit from Hacienda Chichen’s projects. Next time we will try to time our trip to coincide with the programming better so we can actually visit the programs to better communicate to our own students how their gifts of love make a difference. 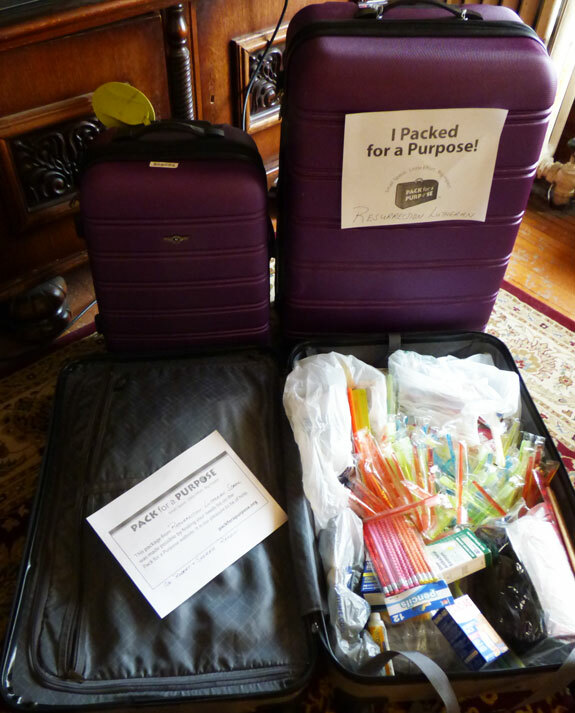 We live in two different countries, but through Pack For a Purpose “We are one” – in Laakeech.